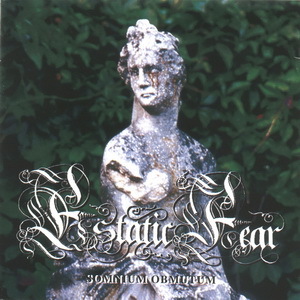 Estatic Fear was founded in the year 1994 with the intent to combine both classical Melodies and traditional Gothic/Doom Licks in an instrumental mixture of lute, flute, piano and cello apart from the common Bride - Solo - Refrain Structures. This led to the debutalbum "SOMMNIUM OBMUTUM" which was widely observed with interests . 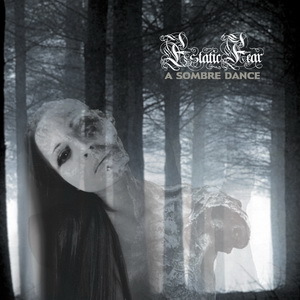 After nearly 3 years , Kogler Matthias (who formally acted under the pseudonym "CALIX MISERIEA") recorded (after parting from the other band members) the second Album "A SOMBRE DANCE". Similar to the first album, but based on delicate structures and melodies it could be described best as a journey into the thoughts of the composer, following his emotional windings both in a musical and lyrical way. One might sense a kind of sorrow shining through the whole Album, but it never changes to pitch black desperation, rather smothering the cries too long suppressed to bear, wrapping them with the unresistable power of lonesome melochaly in a veil of foregiveness. A wooden cabin oversees a lush green meadow. Massive mountains on the background with clear white tops. Sheep grazing peacefully while the wind slowly picks up and the leaves in the few surrounding trees start to bristle; a gentle summer rain begins to fall from a somehow clear sky. In the distance a flash of thunder with accompanying roar. Then the rain hits the grass… Its releases a magical tingle and the entire field is lit up in wonderful display of colours. On the porch of the cabin sits a man in long robes smoking a long pipe observing this spectacle of lights. An amused smile on his face while somehow the rain averts from its downward course just in time to not hit him. When a little man, no more than the height of a child, with a large beard comes out of the cabin and asks him if he wants another cup of tea, he gives a friendly nod while he continues to enjoy the rest of his peaceful yet magical day. That is perhaps the best description I can ever give of the music that Estatic Fear makes on this wonderful second album. The lush mixture of medieval music, doom-metal and classical arrangements make of this album one of the most tranquil, sorrow filled and intimate pieces of music in my entire collection. Forget bands like Haggard or Therion, this is far superior. It must be said that the emphasis on this work is put on the classical arrangements, medieval music and metal elements. The doom element has become a lot less prominent. As such Estatic Fear does drift closer to aforementioned Haggard, creating a mix of classical music with metal. Still the pure melancholy found here can be truely overwhelming. Even the at times used blackish screams sound warm, intimate and filled with sorrow. This is simply a forgotten masterpiece. Anybody who claims to be into good music should own this, it really is that simple.